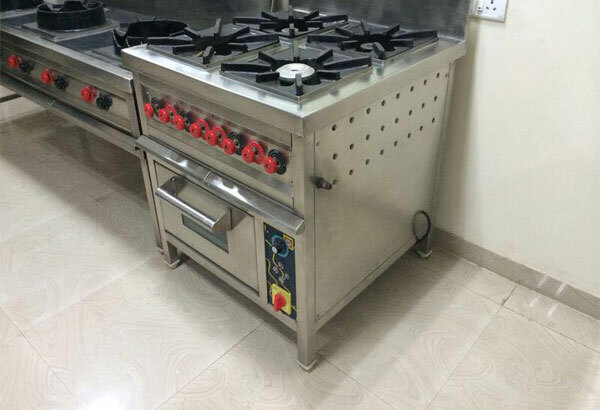 Why do you need commercial kitchen equipment for hotel? 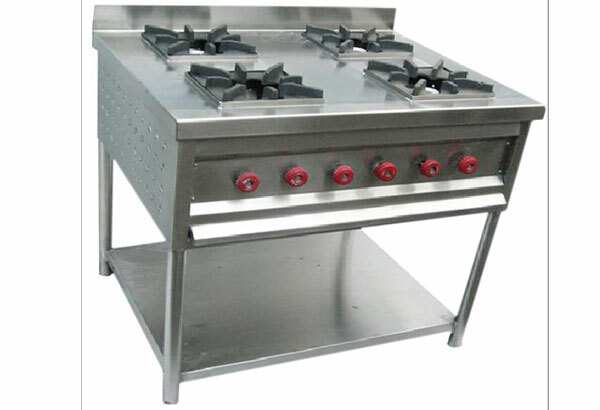 If you go to the kitchen of a hotel or any other commercial kitchen then you will realize that there are a number of different types of equipment present in the commercial kitchens. 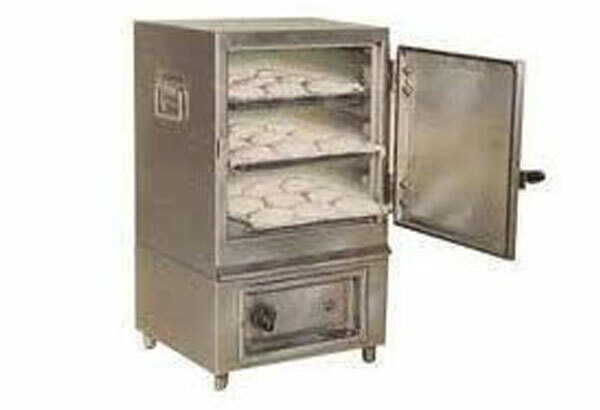 There are ovens as well as fryers present here and each and every equipment is important. 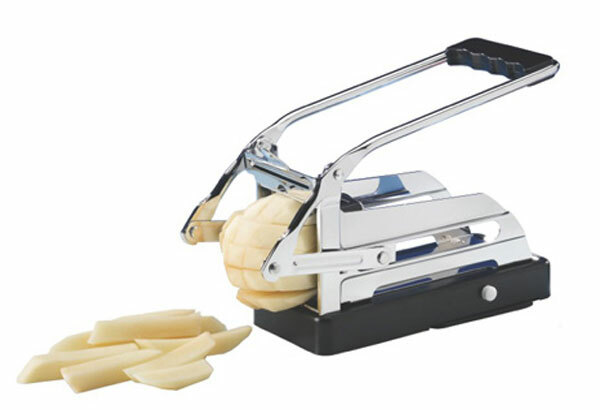 If even one of these equipment fails then that will delay the entire process of making food. So it is very important to properly maintain these equipment so that there is no sudden break down. 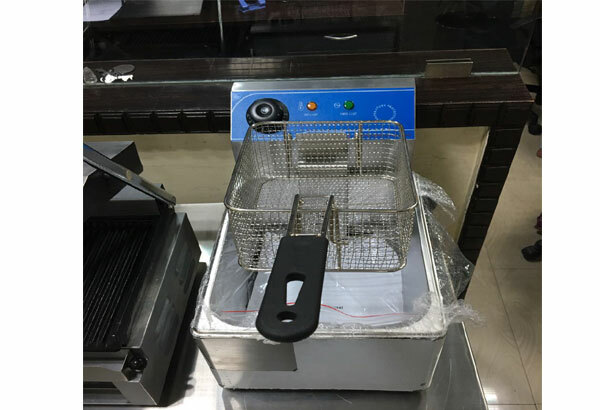 If the important kitchen equipment fail then not only you have to incur an expense for repairing those devices, you might also lose a lot of important customers. If you lose customers then you will also lose a lot of money in the long run. If you maintain the kitchen appliances of a hotel properly then the chances of a sudden breakdown is surely reduced. When you are buying certain commercial equipment then it surely requires a lot of investment. If you get these devices serviced regularly then you will be able to maintain these equipment for many years to come. There are a number of appliances in the kitchen that use water. These devices may be prone to the development of the lime scale build up. If these devices are not properly cleaned then it will not be able to function properly. The excess debris might also clog the drains. If you clean these appliances on a regular basis then they will function much better. Serving delicious food items is important but it is equally important to serve tasty food. If the kitchen in the hotel is not properly cleaned then the appliances will be full of bacteria that will have a very negative effect on the hotel business. The customers would fall sick and so this would negatively impact the hotel business. So the appliances should be cleaned on a regular basis. 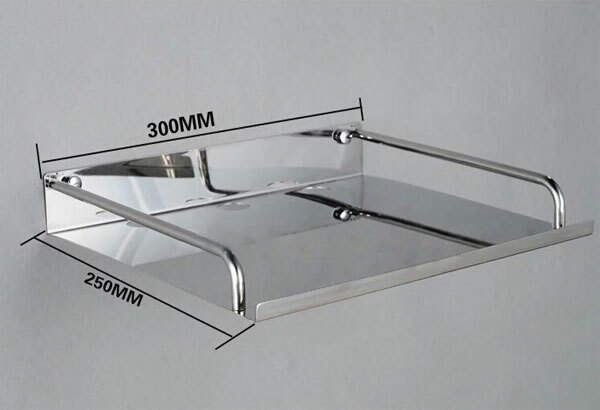 Bulk Cooking Gas Range Construction Top border of 16 gauge s.s. sheet, of 16 gauge, back to be fully closed with 16 guage s.s. sheet with proper welding, provided with 1 nos. H.P. L.P.G. / P.N.G. 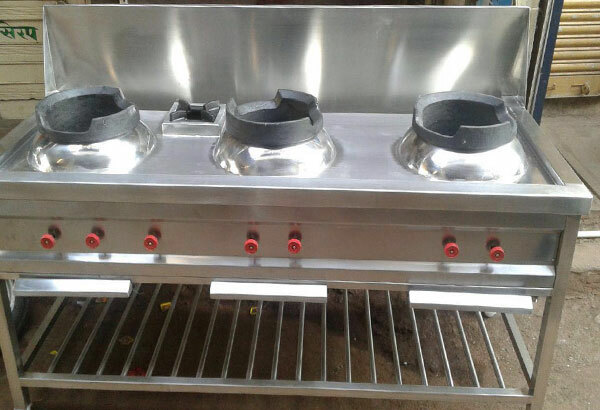 burners (1,00,000 btu each), with 38mm dia. s.s. pipe legs, with nylon adjustable feet. CONSTRUCTION :-LPG operated,full exterior body of 18 guage s.s.sheet,provided with 2 steaming cabinents with individual doors,underside of unit provided with heavy duty steam generator unit,cover from fornt,with auto steam control valve,fitted on 38 mm dia.s.s.pipe legs with nylon adjustable feet,provided with 8 nos.die pressed trays. 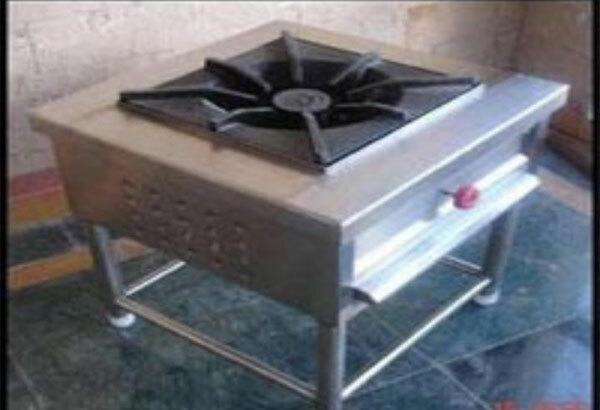 CONSTRUCTION :-Top border made of 16 guage s.s sheet,with two removable frying sinks/ chambers made of s.s.each of size,two removable frying sinks/ chambers made of s.s.each of size 200mmx300x200mm deep,each with 3 kw electrical lift up type heater,with two removable s.s.mesh basket,with thermostat controls mounted on rear panel,with 100mm high s.s backsplash,with single 18 guage s.s open undershelf,with rotary controls and pilot lamps on front sunken. If you maintain the kitchen equipments for hotel then you will be able to use those appliances for a very long period of time. It will also be a good value for the money you spend on it because you do not have to keep repairing these appliances. It has been observed that the hotels that do not maintain their kitchen appliances well have to spend a lot of money in repairing those appliances. 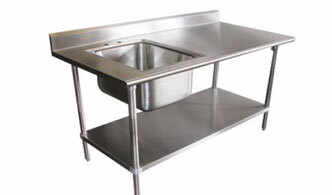 If you maintain the appliances well then you will be able to serve very clean food to the customers. If you serve good food then your hotel business will surely improve. Maintaining the equipment will also help in a better functioning of the kitchen appliances in the hotel. Another thing that you have to keep in mind when buying the kitchen appliances is that you should buy it from the reputed shops. Here you will be able to get good quality equipment at a reasonable price. 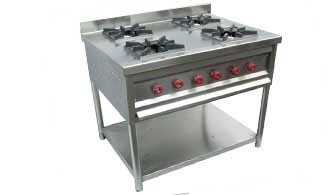 Only if you maintain the equipment by professionals will you be able to get good services from these appliances.